This chapter discusses the dynamics of language mixing among Singaporean university students and how such mixing practices are an integral part of students’ linguistic behaviour at university, both inside and outside formal classroom contexts. The study draws on a large-scale language survey of undergraduate students, as well as qualitative language data collected at one of Singapore’s leading universities. 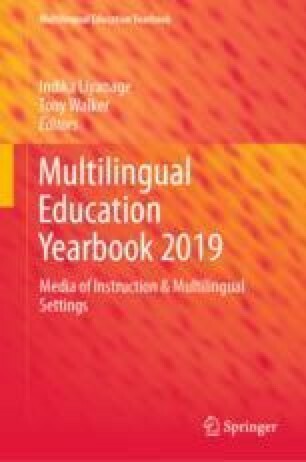 The findings reveal how Singaporean students are able to shift between various languages inside and outside their classrooms, and may also have relevance for a range of other multilingual contexts, particularly in relation to language use in higher education. Singapore Ministry of Education. (2015). Higher education division. Retrieved from http://www.moe.gov.sg/about/org-structure/hed/. SingStat. (2016). General household survey 2015. Singapore: Department of Statistics, Ministry of Trade & Industry. Retrieved from http://www.singstat.gov.sg/publications/publications-and-papers/GHS/ghs2015.